The Shortest Day & the Longest Night of the year. 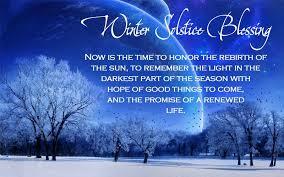 The Winter Solstice; also known as midwinter; is an astronomical phenomenon marking the day with the shortest period of daylight and the longest night. It happens at the same instant for everyone, everywhere on Earth – and this year the solstice occurs on Thursday December 21st at 16:28 GMT.